Why Choose Third Party SFP Modules? One concern you may frequently hear about is the issue of using third-party SFP optical transceivers. You know that many brand companies tend to be very strict about their warranty requirements, and they make no effort to hide their preference that you buy all components directly from them. You will ask: can I choose a 3rd party SFP module? Is it reliable? The answer to the question is that it’s possible. This post will provide you with an explanation on why you can choose 3rd party SFP modules. People have different opinions on “Whether I should use 3rd party SFP modules”. It seems a difficult question for them as the attractive price but unknown performance of the 3rd party SFPs. Some people are worried about whether the 3rd party SFP module can be compatible with their devices. And there is a reason for that. Other people may think that a 3rd party SFP module can perform well and do exactly what an OEM SFP module can do, so why not choose it? And using 3rd party SFP modules seems to more and more popular now, for many 3rd party SFP module vendors are providing high quality and reliable 3rd party SFP modules with low prices. 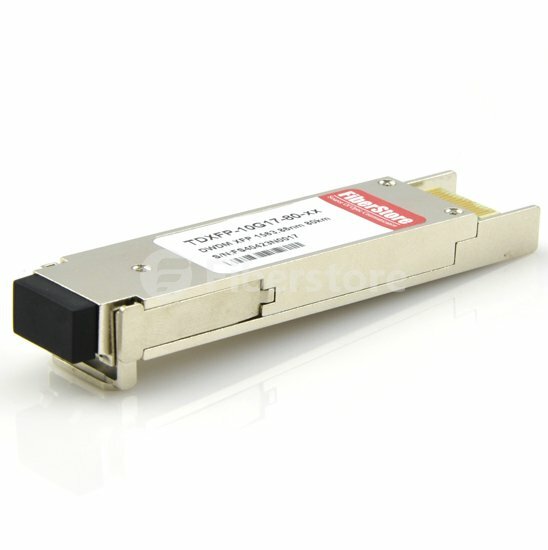 The image below shows a NETGEAR AGM732F compatible 1000BASE-LX SFP module. Are Third-Party Compatible SFP Modules Safe? Most “third party” transceivers are made and assembled in exactly the same plants assembling officially-branded transceivers. There’s a very small number of devices in this world with the specialty equipment needed to produce fiber optic hardware. As such, they supply pretty much everyone. There is almost no big difference between an official Cisco transceiver and a third-party plug, aside from the branding and about two hundred to a few thousand bucks. We have barely seen an actual case of a Cisco switch being damaged by a third-party transceiver. In fact, the failure rates on a good quality third-party SFP transceiver is very low. It is a very basic technology. If you want to make sure that a 3rd party SFP module can work safely with your devices, it is very necessary to use quality assurance SFP modules. Then you would not worry about compatibility of the usage. All the products are tested and 100% compatible with the major brands. In general, the cost of an original brand SFP module is more expensive than a 3rd party one. Take Cisco 1000BASE-SX SFP (GLC-SX-MM) for example, you can easily find a 3rd party SFP module that can take a discount at up to 80% off than an OEM one. As the cost of SFP modules keep adding up over time, many labs and companies are seeking for SFP alternatives to help cut down the costs on these expensive modules. Besides, third-party SFPs can be as reliable as official OEM products. If you buy a Cisco-compatible SFP transceiver from a reputable vendor who’s backing it by warranty, you have nothing to fear. You’re getting a transceiver that’s every bit as good as the official version, for a vastly reduced cost. 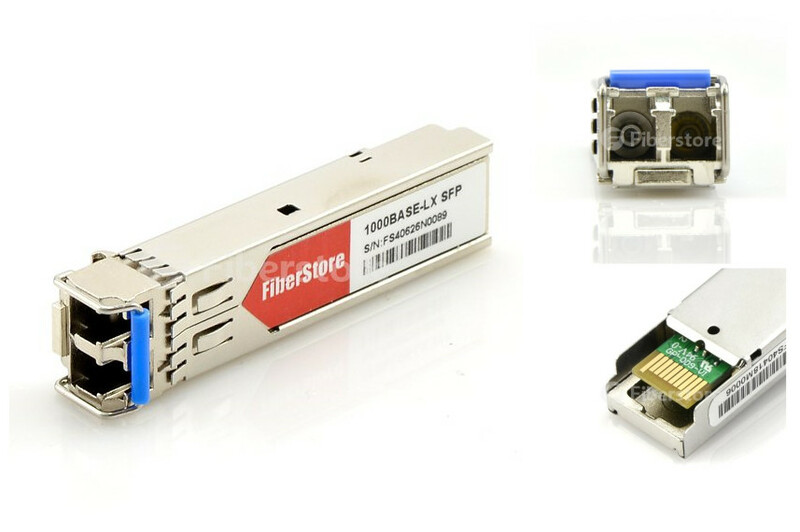 Various vendor-coded SFP, SFP+, GBIC, or XFP transceiver modules that are compatible to widespread networking equipment from well-known manufacturers. Fiberstore provides a variety of transceiver modules that are compatible to devices of important vendors in the market. For example, HP JD089B Compatible 1000BASE-T SFP, NETGEAR AGM732F compatible 1000BASE-LX SFP and Allied Telesis AT-SPSX compatible 1000BASE-SX SFP, from production to shipmet, all these products are tested and guaranteed 100% compatible and with high qulity. This entry was posted in SFP/SFP+ and tagged 1000BASE-LX SFP, 1000BASE-SX SFP, 1000BASE-T SFP, 3rd party SFP modules, SFP transceiver, XFP Transceiver on March 15, 2016 by Admin.